With a prestigious history dating back to its original establishment in 1888 in Guangzhou, China, Lingnan University (LU) is the only liberal arts university in Hong Kong emphasising both the merits and close interrelationship of teaching and research. Like many American liberal arts colleges and the colleges of Oxford and Cambridge in the UK, LU believes that the ethos of liberal arts education requires limited student numbers and an intimate campus setting. For postgraduates, student-centred learning, one of the key values of liberal arts education, ensures close and supportive thesis supervision, while at the same time encouraging candidates to exercise intellectual creativity in their research endeavours. LU has earned a strong reputation through encouraging and requiring staff research, on the premise that far from depleting energies to be spent on teaching, research actually nourishes and inspires outstanding teaching. 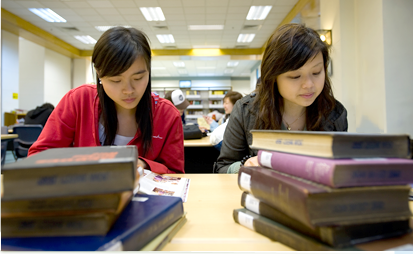 LU’s research strengths stretch across its three academic areas, i.e. humanities, social sciences and business studies. Staff publications include articles in premier journals and books published by prestigious academic presses, so that in the global academic scene, LU enjoys a growing reputation in research excellence at home and internationally.